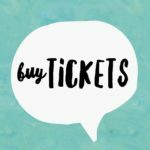 Después de su exito “Viaje Tour”, que contó con más de dos millones de espectadores, el cantautor guatemalteco regresa con el álbum y la gira “Circo soledad.” Esta serie de conciertos recorrerá Latinoamérica, Canadá y Estados Unidos; y después de 8 años regresará a Europa en lugares emblemáticos como Londres, París, Madrid y Barcelona. Ricardo Arjona born Edgar Ricardo Arjona Morales is a Guatemalan singer-songwriter and one of the most successful Latin American artists of all time. Born on the 19th January 1964 in Jocotenango, Sacatepéquez, Guatemala, Arjona’s early life was spent playing basketball for the National Team touring around Central America and teaching in a primary school. At the age of 21 Arjona signed with the label PolyGram through which he released his debut album “Déjame Decir Que Te Amo” in 1985, and who keyholed the singer as a stereotypical Latin-lover. Unsurprisingly the album failed. 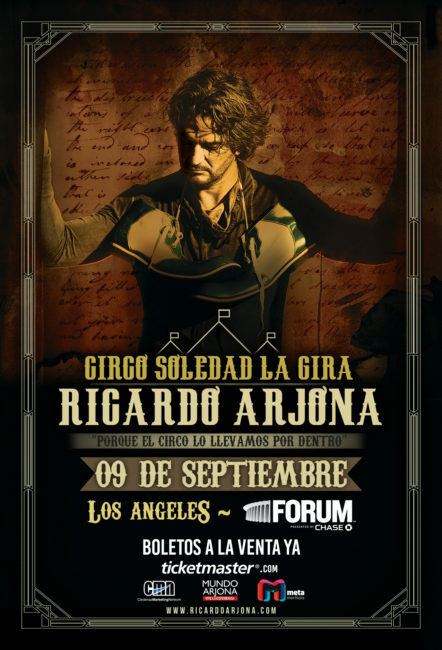 Three years later when Arjona was 24 he represented Guatemala in the OTI Festival performing the song “Con Una Estrella En El Vientre” which led to the release of his second album “Jesús, Verbo No Sustantivo” which brought Arjona significant commercial success becoming a best-seller in many Central American territories. 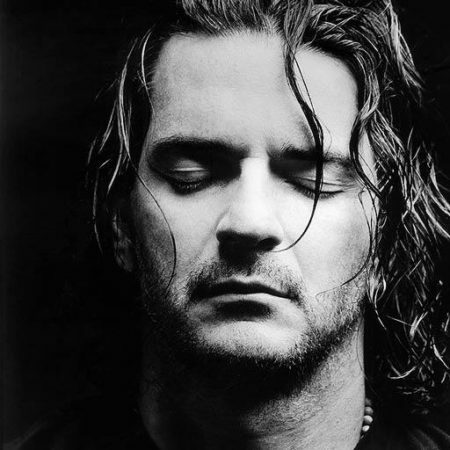 Ricardo Arjona is highly respected in Latin American music due to his socially conscious approach to songwriting. Highlighting the inequalities of capitalism and imperialism and addressing issues such as love, sexuality, racism, violence and immigration among many others, leading to Arjona long been referred to as a protest singer. After enjoying consistent commercial success under the Song BMG record label Arjona signed a long-term deal with Warner Music Latina in late 2008. The Guatemalan has released a total of 14 studio albums, four of which have top the Billboard Top Latin Album Chart including the thirteen-platinum album “Tropico” and the double platinum album “Santo Pecado”, one live album , nine compilation albums and no fewer than forty-three singles. His music has earned the singer a Grammy Award for Best Latin Pop Album for “Adentro” in 2007, a Latin Grammy Award for Best Male Pop Vocal Album also for Adentro in 2006, as well as a Rafael Álvarez Ovalle Order from the then President of Guatemala, Ramiro de León Carpio, for his international accomplishments.